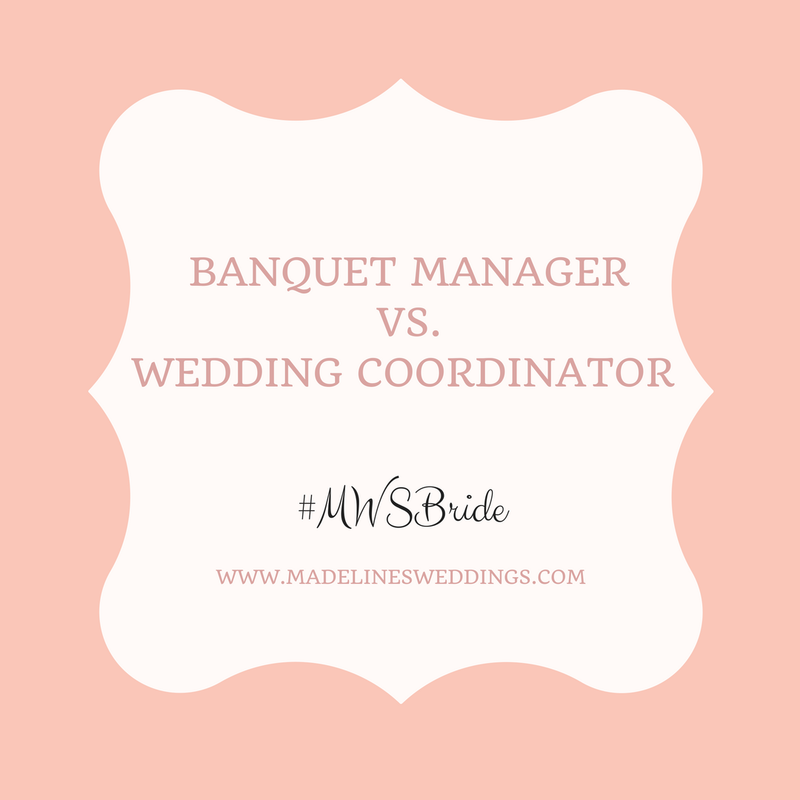 What is the difference between a banquet/catering manager and a wedding coordinator? The most important fact to remember is your banquet/catering manager works for the hotel or venue. When you hire Madeline’s Weddings & Events (or any other planning company), we work for YOU! * To manage the kitchen, serving and bar staff. * Assist with vendor referrals for music, flowers, photography, transportation, hair and make up, stationery etc. * Contact all of your vendors to confirm their start time, delivery time etc. * Attend rehearsal, providing input and suggestions on etiquette and traditions for the ceremony. At Madeline’s Weddings & Events, we work with the banquet manager at your venue to ensure your reception is everything it should be. Our attention to the details allows the banquet manager to put their focus on their staff to ensure that your dinner reception is absolutely perfect. When planning your wedding remember that your wedding planner or coordinator should work for YOU!! If there was an issue with the venue, the banquet staff or kitchen staff your wedding planner or coordinator will handle said issue with an unbiased opinion and YOUR best interest in mind.